Easter bunny ears are the most iconic part of the Easter season! Whether you are decorating the house for the season with pastel colors or simply looking for festive Easter gift ideas, try adding some bunny ears to the mix! Easter is quite literally a hop around the corner, and I am SO excited. I’ve been decorating our home in simple ways, and I just seem to keep coming up with fresh, new ideas. I might be a little bit Easter obsessed! ;) From adding a fun, bright wreath to the front door to getting eggs filled for the kids, we’re in full Easter mode over here! 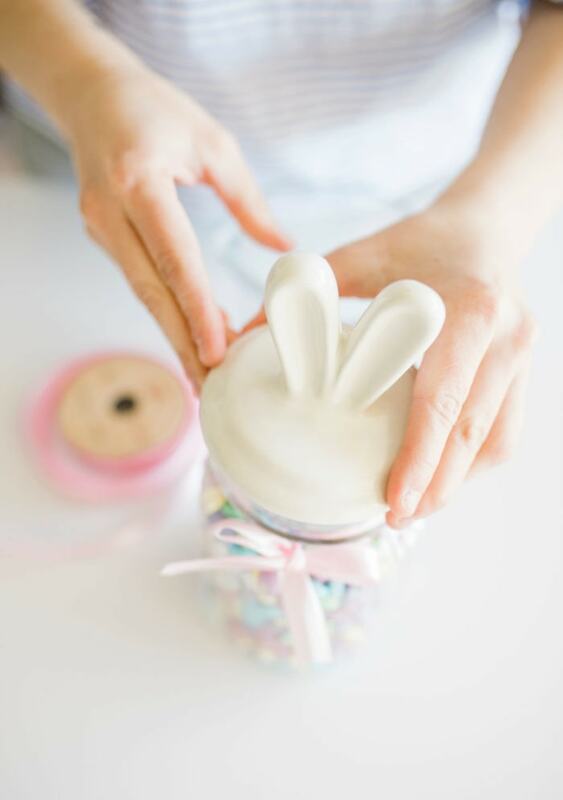 I was SO excited when I stumbled on this super cute Bunny Ear Jar. I couldn’t pass it up! I totally scored when I found it for only $6.99 at World Market! Online, the jars come two to a pack, one in pink and one in white! The bunny ears on top were just the sweetest and make for the perfect addition to anyone’s Easter decor. This would make the most thoughtful spring or Easter gift for a girlfriend, your mailman, your neighbor, your child’s teacher, coworker, or anyone in between! There are so many memorable ways to celebrate the every day! To get the party started, pick out your absolute favorite ribbon. 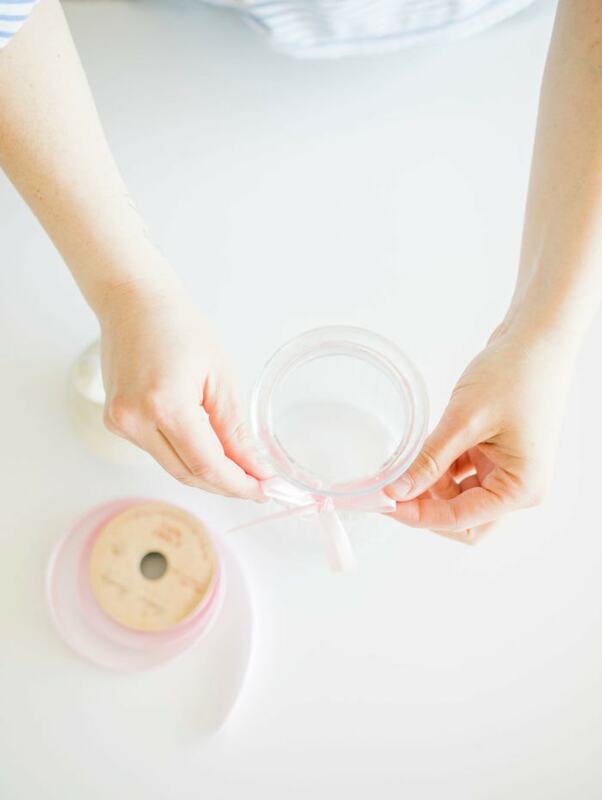 I tied a bow around the top of the jar with one of my absolute favorite pink ribbons! Of course, you can dress it up with any color or pattern to match your decor or the person you’re gifting this to. 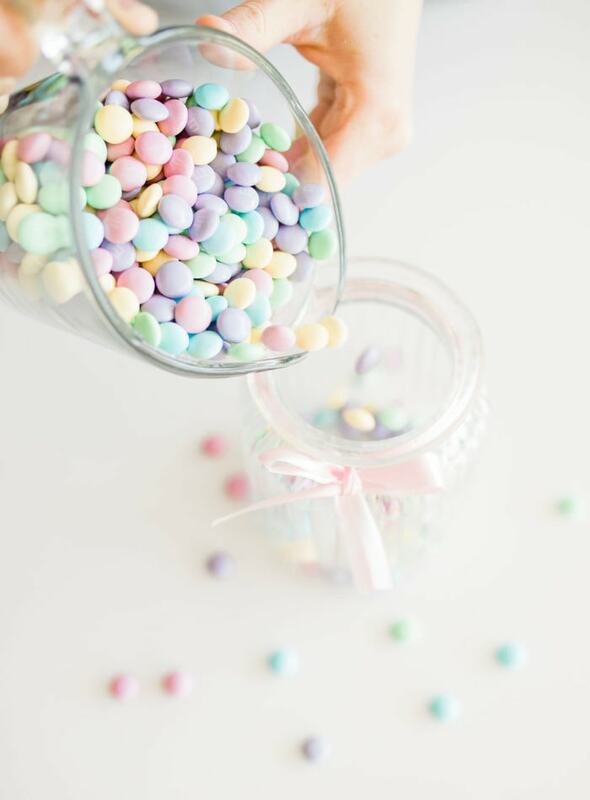 I ended up coming up with a super easy DIY trick to dress this up even more by adding my favorite pastel Easter candies. You might know by now, I am OBSESSED with Jordan Almonds. They are my absolute fave! 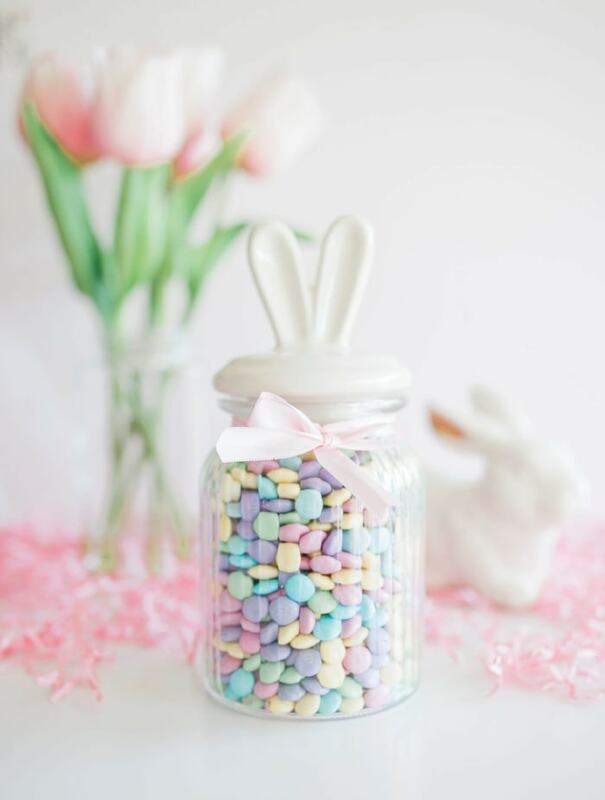 I ended up filling this sweet jar with pastel M&M’s, but you could definitely fill the jar with another pastel Easter fave or even jelly beans. To achieve this sweet gift, just pour the pastel M&M’s into your jar. I had a blast putting this together with Charlie and Claire! And you bet they snuck a few M&M’s along the way. ;) All in all, we used three bags of pastel M&M’s to fill the jar. 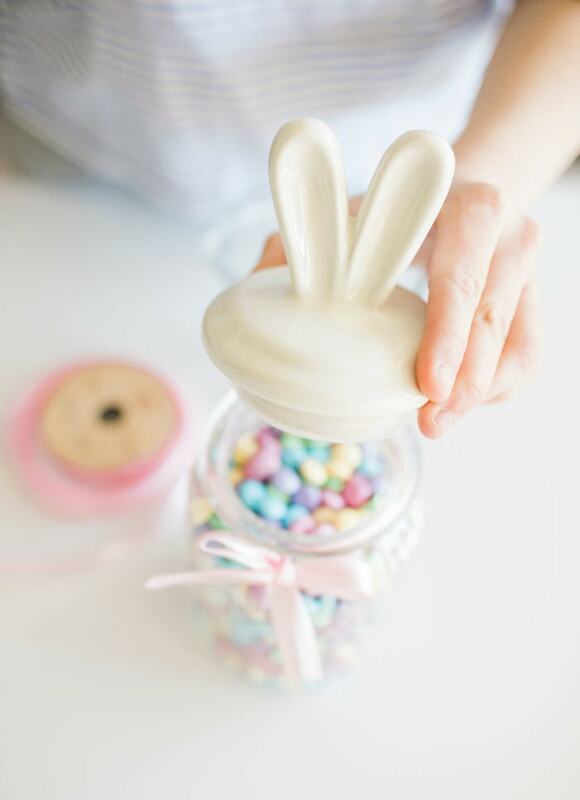 Once the jar is filled, top it with the cute bunny ear lid. It’s that easy! With how simple this was to DIY, it’s the perfect last-minute Easter gift for any of your favorite friends or to keep one for yourself to decorate your kitchen counter. Even with all of the Easter eggs you may have left to fill, this will only take up a few minutes of your time! What ideas have you been thinking about for springtime gifts or Easter Sunday? 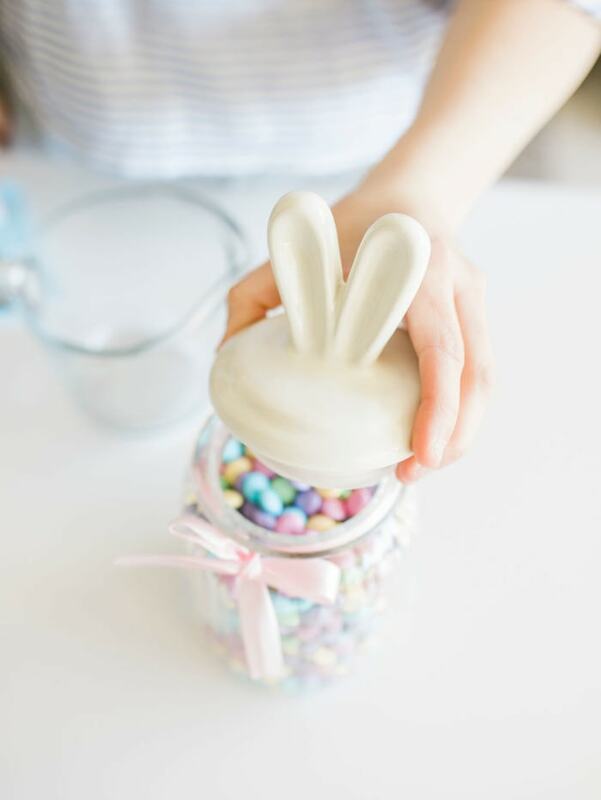 Try incorporating this jar in for some festive bunny ear decorating! With this simple Easter DIY or Easter gift idea you can really embrace the classic themes of Easter. 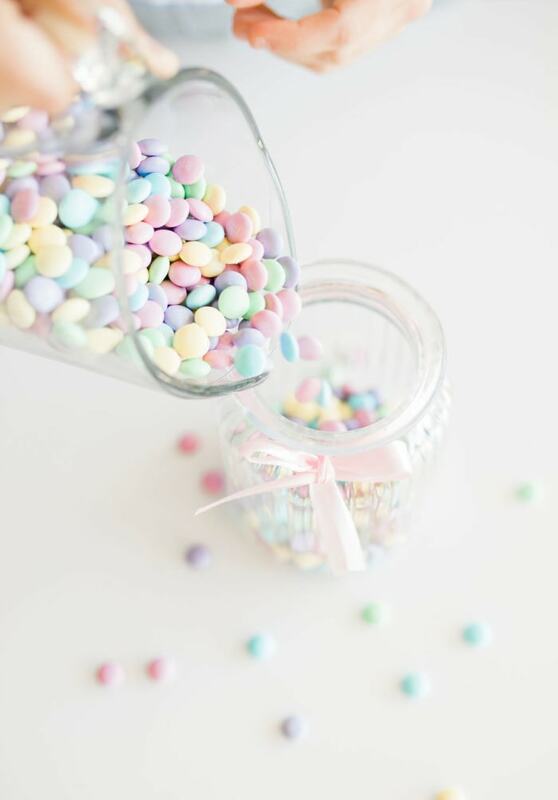 What pastel candy are you thinking of filling them with? Tell me in the comments down below! Have an amazing Easter Sunday!